Product Settings allows you to have additional product description boxes so you can effectively promote more information. 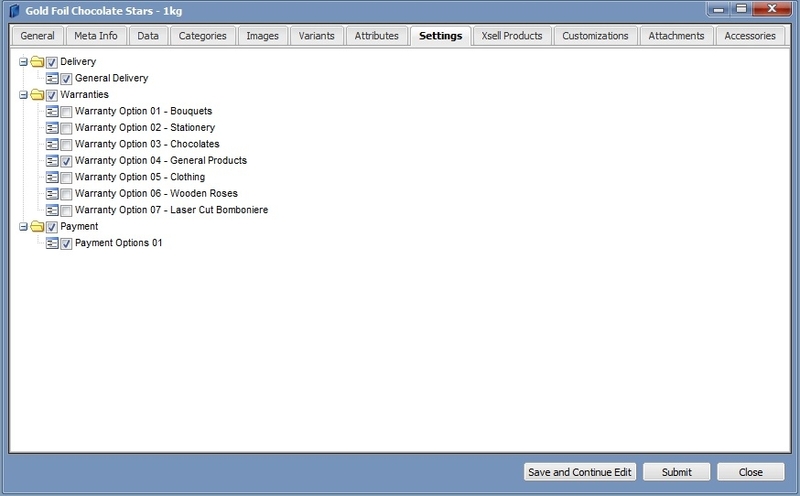 The beauty of this module Is that you only have to fill out the information once, then you can assign the information to the products saving you more time. To then save even more time, our other paid add-on bulk product edit means you can assign all your product settings in around 5 minutes. By selecting add, you can then create the additional description fields and create the content you want to display on your products. 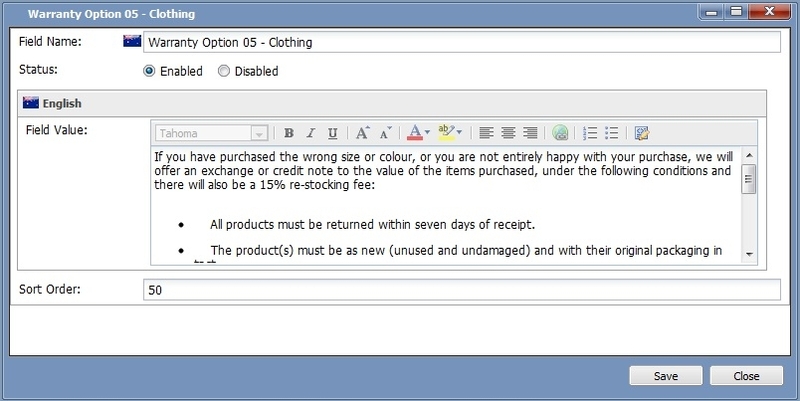 You can create descriptions in exactly the same you can in the normal description box under general on products. Finally, like assigning a product to a category, you return into the product you want to assign the product settings to, and simply assign the products, you are now finished here. 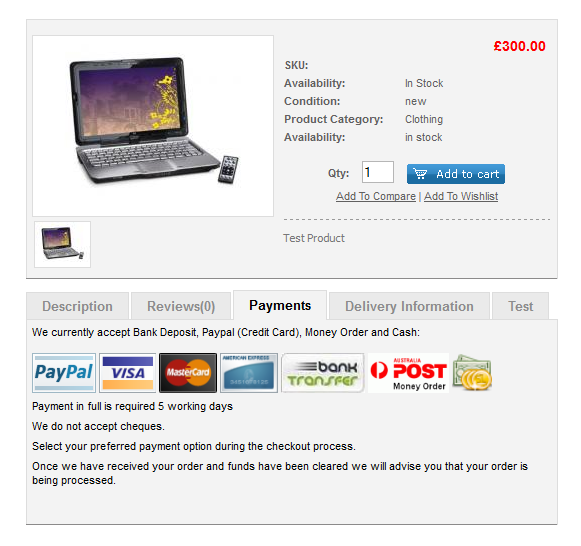 Product settings are a fantastic way to promote delivery, warranty & any additional information you can think of. Use this section to promote important information, give your customer a reason to think it’s safe for them to buy. I know when I buy if I cannot find delivery information I simply will not purchase.